Everyday Fashionista - Atlanta Blogger: This Coat is It! 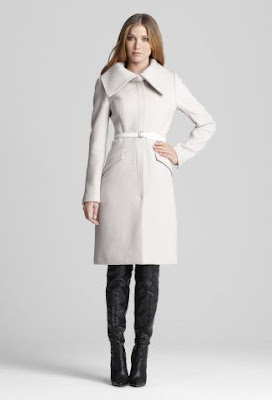 I am currently on the hunt for a new winter coat, and am in love with the Jessica Coat in Macrame (White) from Elie Tahari. There is nothing as classic as a white wool winter coat. This one is pretty pricey, though, so it will most likely stay out of reach for now! This coat is FABULOUS, and probably worth every penny it costs!